The Daub software, developed by Daub Alderney, part of the Stride Gaming Group – the original owners of Wink Bingo and Posh Bingo was a breath of fresh air on release and stays current with a limited number of sites permitted to run the software. The first of the Daub Alderney bingo sites is Lucky Pants Bingo, a great site offering an exclusive sign up offer. 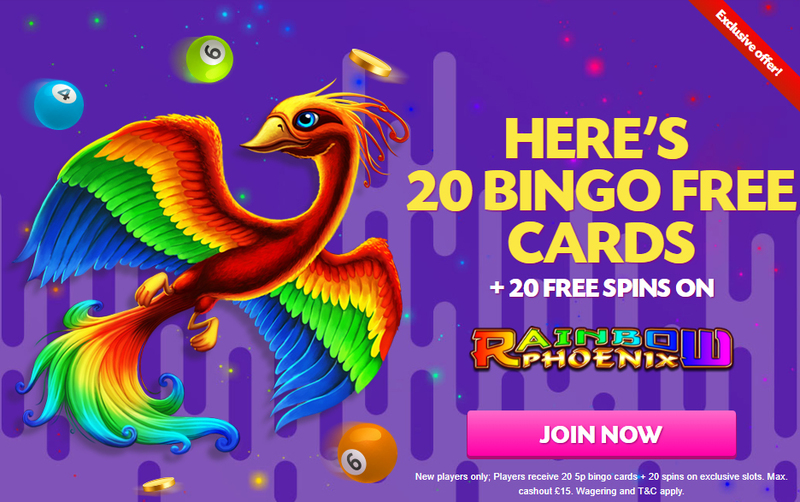 Sign up now and you’ll receive 20 bingo cards free + 20 free spins on Rainbow Phoenix. You’ll also receive a 200% bingo bonus or 100% slots bonus on your first deposit. If that wasn’t enough, you’ll also receive a second and third deposit bonus. Choose from 100% bingo bonus or a 50% slots bonus on your second deposit as well as a 150% bingo bonus or a 75% slots bonus on your third. How’s that for stacking bonuses? One for all the cat lovers out there – Kitty Bingo is another of the Daub Alderney bingo sites with a bit of cattitude. Sign up today and you’ll receive a huge 300% bonus + 100 slot spins on your first deposit. If that’s not enough, you can also choose from 100% bingo bonus or a 50% slots bonus on your second deposit as well as a 150% bingo bonus or a 75% slots bonus on your third. Now we’re talking! Bingo Extra – our number three list of Daub Alderney bingo sites showcases the site launched in 2015 with a retro design and great bonuses. Sign up today to claim a huge 400% bingo bonus or 100% slots bonus on your first deposit. That’s not bad at all! You’ll also be receiving a huge 100% bingo bonus on your second deposit and 150% bingo bonus on your third – that’s where the extra comes in. Not only that, but you’ll be entitled to extra bonuses as you play. Whenever you deposit and wager you’ll receive free spins and free cards every day for the following 7 days. Last on our list of Daub Alderney bingo sites, and our favourite is Give Back Bingo. The site vouches to donate a portion of all wagered to a different dog based charity every single month – showing us that some site owners do have a heart. Not only that, but you’ll be more than pleased with the huge 300% bingo bonus + 50 free spins when you join now at Give Back Bingo. You’ll also be in with a 50% match bonus on both your 2nd and 3rd deposits. That’s a whole lot of bonuses with great software to match – claim now to see what all the fuss is about.